A List of 10 best Zip File Extractor for Android: Zip file extractor is used to extract files from Zipped/compressed folder. You might have come across many zipped folders in Android file manager. Since Smartphone can perform many functions such as File editing, multimedia, etc., hence having a Zip extractor is a must. A Compressed folder, usually contains files that have been stored to take less memory. You can also compress a file using these extractors. A zip/compressed file is most common in Emails, since there is a memory limit of sending attachments via email. Hence, you must have a zip File extractor for Android devices. Below is a list of A List of 10 best Zip File Extractor for Android. You can extract, compress and use it as a File Explorer. Easiest and quick compression Android App. Secure your ZIP files by placing a Password. The AndroZip™ FREE File Manager is the first app to perform 2 functions. It can compress/extract your files and can also work as a File manager. This app has been downloaded by over 20,000,000 users worldwide. You can also share your files directly through email or other sharing platforms. 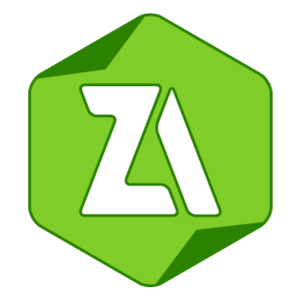 ZArchiver is the top rated ZIP extractor of Google Play Store. It has a simple and easy to use interface. ZArchiver can compress and decompress to every available format. You can also create or access password protected ZIP files using this APP. ALZip is a zip extractor that can also work as a file Manager. It supports all basic functions of a FIle Manager. Also, it has an inbuilt Zip file extractor. 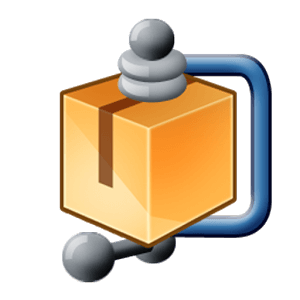 You can ZIP or Unzip files in multiple formats including tbz, tbz2, bz, bz2 etc. With ALZip, you can also split an archive file into different parts. For example, you can split a 4 GB compressed file into 4 different 1GB files. Note: One side fall of ALZip is that it cannot compress or Unzip file exceeding 2 GB of space. Download ALZip from the link below. Zip File Reader is a simple tool to compress or unzip your files. It supports almost every type of file formats. Also, it has an easy interface to use. Zip File Reaser also comes with a File manager. Although this zip file opener is quite easy to use, it also contains a lot of annoying ads. There have been reports from users that this ZIP APK spams a lot of Advertisements. Hence, you can always try the above apps before downloading this. 7Ziper is a powerful zip file opener that can compress, unzip, split or browse your file. This apk supports all types of file formats. Hence, if any of the above apps fails to unzip your file, just download 7Zipper. 7Zipper also monitors your SD Card usage, and gives regular notifications about it. File manager is widely popular for its managing files in an Android smartphone. But one of its best features is an inbuilt Zip file extractor and compressor. This app has been designed and developed by ASUS Computers. Also, it has a File Explorer with an easy to use interface. You can even access files on an Local Area Network (LAN). 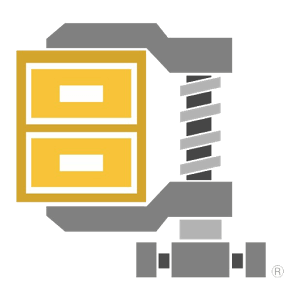 B1 archiver is also a widely popular zip for Android. You can easily create a password protected compressed file using this app. It can also Zip/compress over 37 different file formats. B1 Archiver is also used to extract “split files” into a single file.